1. Cut the avocado in half, remove the pit and carefully remove the skin. Slice each piece in half lengthwise. You should now have four slices of avocado. 2. On a plate, add coconut flour and salt. 3. Add coconut oil to a pan and heat on medium. 4. 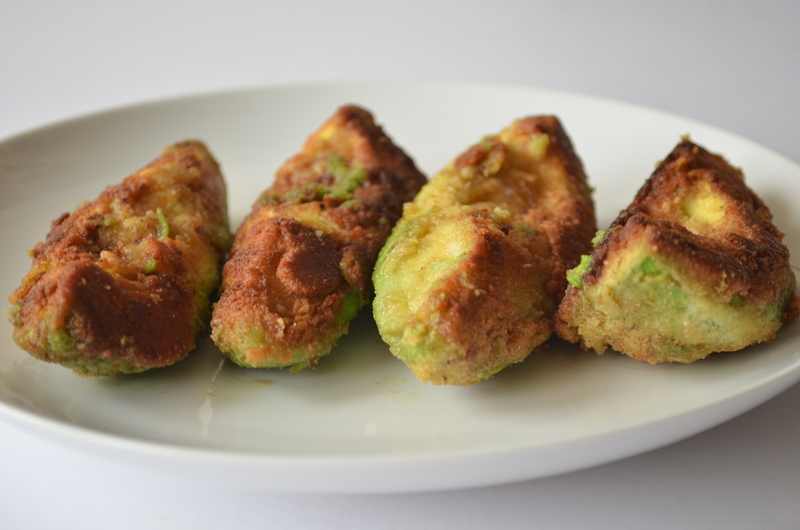 Dip each slice of avocado into the egg and then coat with coconut flour and salt. 5. Carefully place slices in the oil and cook on all sides for about 2 minutes each until flour looks golden brown.